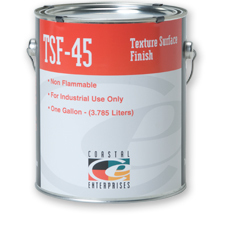 Looking for a tough yet flexible product that easily allows you to simultaneously add texture, protection and value to your signs? Whether for environmental reasons or the desire to use a material that lasts longer and performs better than wood, Sign & Model makers are increasingly turning to wood substitutes like Precision Board Plus. And.. 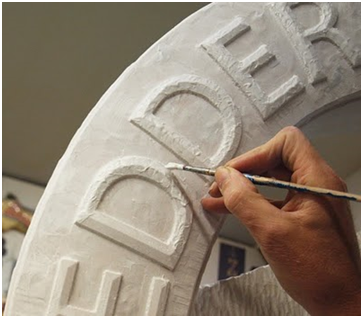 Looking for a tough, versatile, flexible texturing product that is fun and easy to work with, adds value to your signs and sculptures, while saving you time? 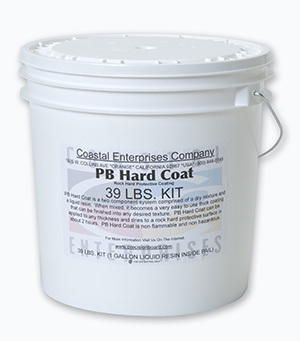 After years of working with sign makers and listening to their feedback on available products, we developed PB Hard Coat to fulfill these requested attributes. We understand..
Dan Sawatzky is known for using a wide variety of interesting textures in the signs he creates. One technique he is fond of using is applying FSC-88 WB with random brush strokes to add texture to routed letters. To quote Dan, ” I don’t want my signs to look like a machine made them. I..